Save time and labor and complete work safer, cleaner, easier and more efficiently with SIMpullTM solutions – now available at Standard Electric! Decrease installation time and improve safety. 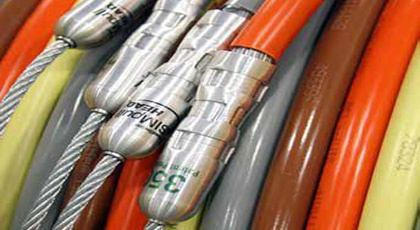 Southwire’s NoLube cables don’t require pulling lubricant when pulled into conduit. 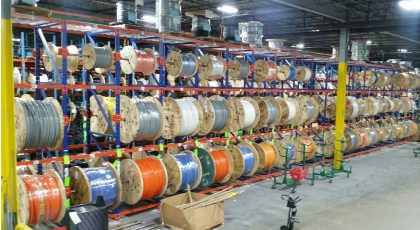 Choose conductor colors for easy identification and installation. Independently Rotating Flanges | Shaftless Design | Self-Contained Chocks | Compatible with wooden reels up to 34 in. and 2000 lbs. Factory-installed SIMpull Head pulling grips save time and labor on-site and reduce waste. Featuring a low-profile design to glide easily through bends and tight turns. Need Multiple Pulls Per Reel? We do that!